Keeping a strong body with strong bones in the midst of a busy life can be a scheduling challenge! 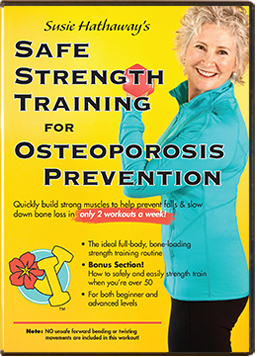 Awhile back, I switched from teaching my Strength Training for Osteoporosis Prevention classes from three days a week to two days. 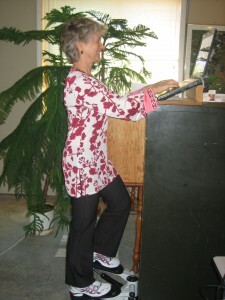 My class participants and clients are generally between the age of 50 and 75. Many of us weren't feeling fully recovered with only 48 hours between our hour-long, vigorous workouts. Read more about how 72 hours seemed to do the trick. In a progressive resistance/strength training program, fully recovered muscles grow stronger after each workout. Those stronger skeletal muscles, all of which are attached to bone, then pull harder on your bones during movement, stimulating them to slow down bone loss and possibly even grow stronger. Other research supports twice-weekly strength training as optimal for those in the over-fifty age group. That schedule provides plenty of time for other aerobic, heart-healthy types of activities. I love reading about the recent research which helps piece together the puzzle of what constitutes, "The Illusive Optimal Fitness Routine." Rest assured, many varied paths can lead to good, overall fitness. "Why Four Workouts a Week May Be Better Than Six"
In this NY Times article, Gretchen Reynolds, author of, "The First Twenty Minutes," reported on an excellent study which set out to determine the optimal number of days we need to work out for fitness. Seventy-two sedentary women between the ages of 60 and 75 were recruited for two, four, or six day a week workouts. The best results? The four-day-a-week group! Why? Simply because they ended up moving more throughout the week. Not counting their workouts, they burned 225 calories more per day than when they began. That is a lot of moving! 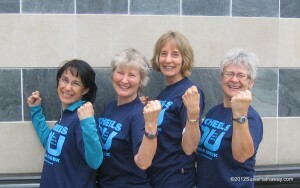 The twice-a-week group burned 100 calories per day more, again, not counting their exercise calories. Again, researchers credited their extra movement beyond their workouts for the 100 calories burned. 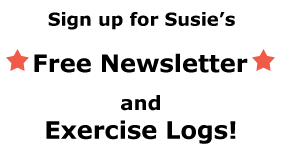 In both of the above groups, the participants spontaneously began looking for ways to move more throughout their days, outside of formal exercise. Measuring their calorie burning was simply a way of measuring their energy expenditure, as weight loss was not an intended part of the study, although they did lose body fat. The six-day-a-week group actually began burning 200 calories less during the day than their starting rate, after accounting for exercise calories burned. The reason? No, not over-training. They were simply too pressed for time with the six workouts a week. These women apparently found ways to move less in order to save time. And get this! All groups gained about the same level of fitness! If you like to exercise six days a week, just make sure that it isn't at the expense of moving less during the rest of your day. All of those extra bits of walking and standing are good for muscles and bones. They give brief, frequent reminders to your skeleton to stay strong enough to do its job of supporting the soft tissues of the body and protecting the internal organs. Time to get up for a 30-second brisk walk around the office! Let us know your tips for tucking movement in during the day, outside of formal exercise! Thanks! PS-Mine is keeping my laptop on a box or file cabinet and often standing and fidgeting while I do my bookwork. 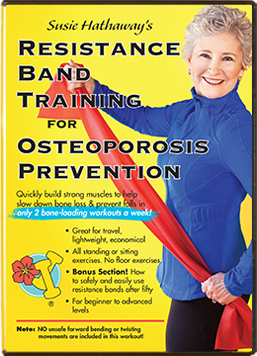 ← Too Much Exercise Bad for Bones?